There are lots of fasting programs out there that have been developed for various therapeutic purposes. I will list a few below for anyone wanting to research, but for this program I have developed simple terminology around what I call the Flexible Eating Lifestyle. This program intentionally has no “rules” and should not be considered a “diet”. The goal is create an individual eating plan that supports your health needs while fitting into your lifestyle. It should be a way of life. One that can change, ebb and flow with hormonal changes, family or work commitments, energy needs and even time of year. Below are the guidelines for experimenting with food timing. Like I mentioned, there are lots of variations out there, but in my research and clinical experience, these are the easiest to transition to and maintain as a busy-hormone-changing-human. Basic Fast - 12 hours between dinner and breakfast, consuming water only, which gives the liver a chance to complete its cycle. It's best to eat 3 meals and no snacking on the Simple Fast Lifestyle. Therapeutic Fast - 18 hours between dinner and breakfast, consuming water only, which gives the liver a chance to complete its cycle and . Either skip breakfast all together and only have 2 larger meals or squeeze in 3 meals into the 6 hour eating window. Power Fast - decrease the eating window to 4 hours, consuming 2 meals to make sure you can pack in all the nutrients needed! 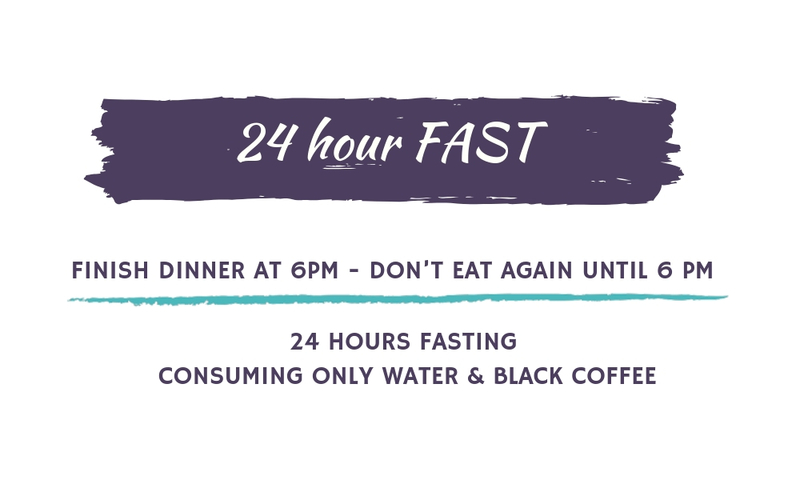 24 Hour Fast - 24 hours between meals. Eat a meal with quality protein, fats and veggies. The next day only consume water or black coffee until the same time the next day. Do not start here. Begin with intermittent fasting, decreasing the eating window allowing the body to adjust to this new timing. Transition to this fast with bone broth, green juice or other liquids like soups or shakes. 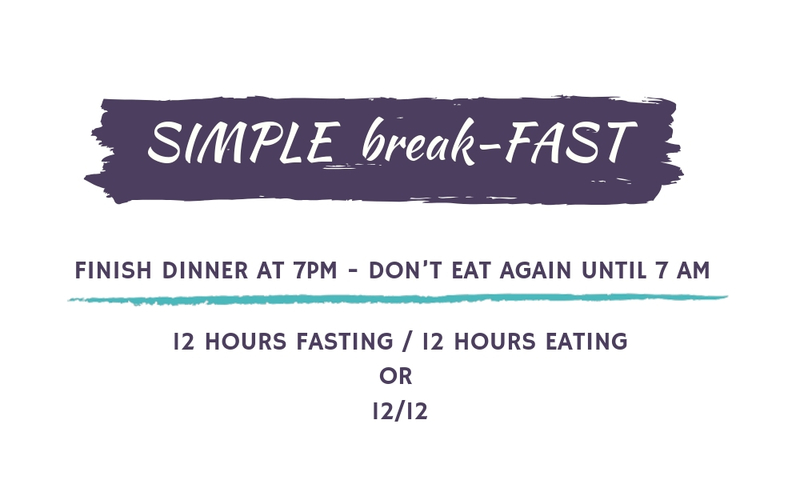 There are lots of other fasting protocols that can be helpful in transitioning to a more therapeutic fast like a 24 hour or extended fast. Even though calories are consumed, there are significant health benefits. Bone broth fasting is a very low-calorie fast that provides free amino acids and collagen proteins that support the gut, joints, skin and hair. It also has a lot of sodium and electrolytes to help the body adapt to the reduced insulin levels and maintain fluid volume. The main thing that blocks autophagy is protein, so if you are consuming more than 5 grams of protein in a day with the broth, you won’t get the big autophagy stimulus you would without the broth. A green juice fast uses loc-carb greens and fruits like lemons and limes that are rich in nutrients but low in sugar and starch and overall calories. The goal of a green juice fast is to load the body up with powerful cleansing and regenerative nutrients while keeping the blood sugar levels stable. This can also be done with greens powders that are made up of a wide variety of dehydrated greens and algae like spirulina and chlorella. This approach can be very helpful and will get much of the benefits of water fasting but will not reach the same peaks in HGH, autophagy and stem cell production. But it will add a lot of powerful nutrients to support the bodies cleansing process. There is no one-size-fits-all fasting regime. I encourage everyone to play with the different routines, see how your body responds and pick and choose a plan each day or each week that works for your energy, sleep and lifestyle!